Widow’s Pension Files are among the most remarkable records that survive relating to the American Civil War. Filled with fascinating social information, they often also contain primary sources from 1861-1865- such as wartime letters- that have lain unread for over a century. 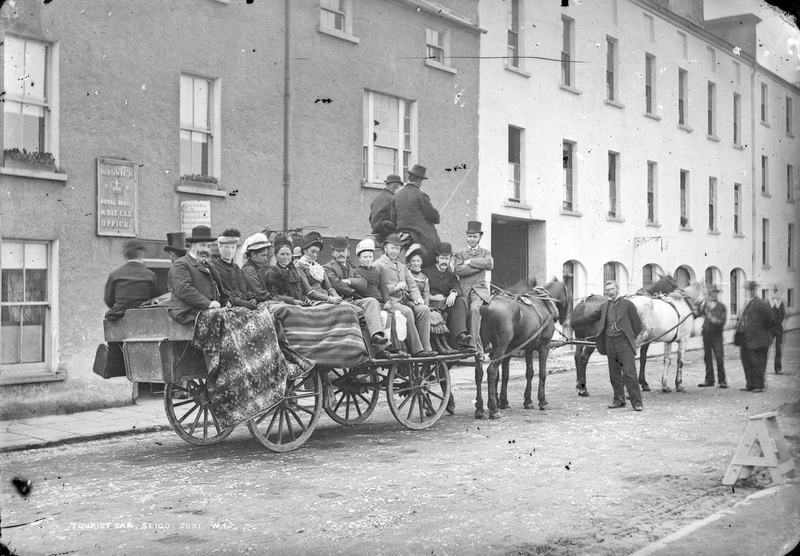 Many thousands of these files relate to Irish people, and contain important details about life in Ireland and among Irish emigrants in the middle of the 19th century. The importance of these files as a historic resource remains unrecognised in Ireland, which is unfortunate given that many Irish records from this period were destroyed during the Irish Civil War. The letters below relate to one such remarkable pension record. 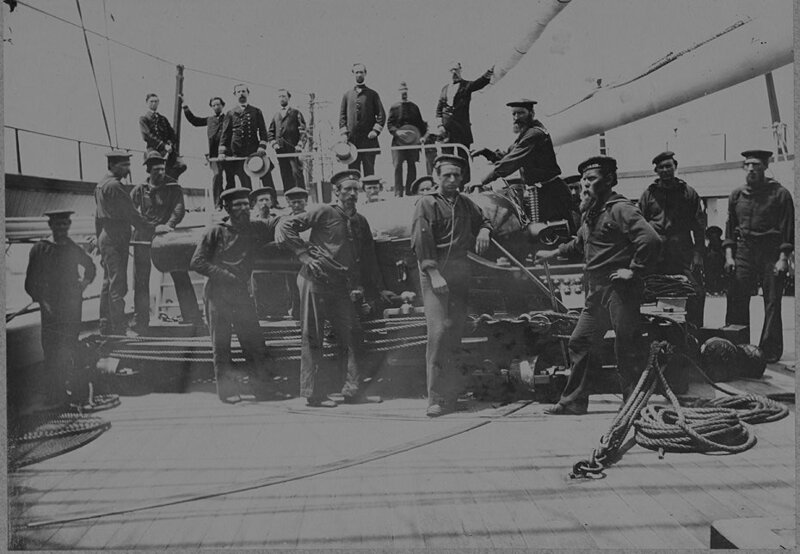 Contained within Navy Dependent File 2867 are three poignant letters from Second Class Fireman Patrick Finan of Sligo town, written to his father from the decks of USS Wabash. 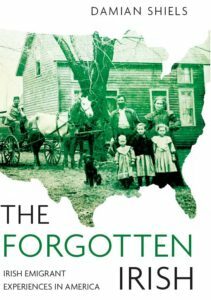 Transcribed here for the first time, they have much to teach us about emigration, community, life on the Union blockade, loss and loneliness. They are well worth taking the time to read. Hilton Head, Port Royal S.C. I take the liberty of writing these few lines to you hoping to find you brother and sister in good health as this leaves me in at present thanks be to God for it. Dear Father you must excuse me for not answering your letter sooner than this but I was waiting for the ship to go to New York until I would send you all particulars, but when the time came to go home I was disappointed, for in place of going to New York we were sent to Philadelphia and we received one weeks liberty on shore. I was thinking of going to New York from there but I changed my mind for I thought I might as well spend my time there as in New York. So you may think what a week I spent after being fifteen months at sea but I got sick of it at the latter end and I was glad to get on board the ship again, but we only remained fifteen days in Philadelphia until we left for Port Royal on the first of August again and to make my liberty better I got sick on the passage out and I had to go into hospital on board the ship for two months before I got better, but I am quite well again and at my duty. Dear Father we expect to make an attack on Charleston very soon for we are to have a fleet of iron clad vessels as soon as our Admiral comes back, for they would sink all the wooden vessels that ever was built but our ship is too large to get in close on the Bar but I hope it is all for the better, for I don’t want to be under the fire of them guns that is on them Forts but our iron clad vessels can stand anything so I think our vessel will have to remain outside the Bar and look on at the sport and I hope we will come out victorious. Dear Father you must excuse me for not having something to send to you in this letter but you may expect it in the next, I will send to you in January next so try and do the best you can until then, for there is no money to be got in this ship at the present time. Dear Father you will make it your business to see Mr. Coggans and ask him if he has heard anything from his son Michael, for I was told by a prisoner we got on board our ship that come from Charleston and he told me he knew Michael Coggans, and that he got married and shortly after he [en]listed in Charleston and is now stationed in James Island the very place we are going to make an attack on, and give my respects to him and his daughter Margaret. ** Dear Father if I remain twelve months more in the navy you may expect me home for a few months as soon as I get paid off, for I never can let home out of my mind I am always thinking of home, I don’t know the reason of it for when I was in England I never used to think half so much of home as I do now, but I am not the same since my Mother died. I feel very lonely and down hearted. Dear Father you will be kind enough to tell John Gannon not to be uneasy a [small portion of letter missing] Michael has the [small portion of letter missing] present time for they are pressing men to [en]list all over the States but as soon as Rebellion is over we will have a good country here again and I expect this winter will finish it all. Give my love to my brother Michael and wife and child, and my sister Mary Ann, and to Martin Conlin wife and family, and tell little Patt Conlon I will bring him home a suit of Man O’ War clothes and make a regular Jack Tar of him. Give my love to Johnney Mulrouney wife and family and to my [sic.] daughter Anney and Patt Kerins and children and John Mulrouney wife and family, Dan Riley and family and to Mrs Rees? and to Thomas Mulrouney and James Hennesy, and give my love to the two Miss Mullins, father and mother and to all loving friends and neighbours and to my aunt Peggy, and [I] was very near forgetting her. So I bid you all goodbye for the present but I remain your truly son Patrick Finan, until death. I take the liberty of addressing these few lines to you to inform you that I received your kind and welcome letter on the 20th, and I am happy to hear that you are all in good health as this leaves me in at present thanks be to God for it. Dear Father I am sorry to inform you that it is impossible for me to send you the money home or I should feel very happy in doing so, for the money we get here that it is no use out of the country, for every pound in gold I would get here to send you I would have to pay two dollars discount on it so you see now how much it would take to send as much as would bring you all out here. Dear Father I am willing to pay your three passages in [to] New York, yours Mary Ann and Johnsey Mullrooney if you are willing for me to do so, for I don’t know any other way in bringing you out here at the present time. I have the money on hand these three months and could not get no way of sending it to you. Dear Father when you receive this letter write as much as possible and let me know what you intend to do and tell Johnney Mullroony that if he is willing to come out here I will pay his passage along with yours, that is if his wife is willing to let him come here, but on no other condition. I would like to bring him out here. Father it grieves me to say that it was the first? in the January? to make a settlement on it, and when you and Mary Ann leaves we will be well divided, and if Michael had taken my advice when I was leaving Liverpool I would have him out here long ago but he has taken his own or else yours and let him abide by it, for I am sure he was time enough to get married these five years to come. Let me know how you stand, that is to say if you have got as much money as will bring you as far as Liverpool, and if not let me know in your letter and the sum you think will do you, and I will send it to you, I don’t care how much I have to pay for sending it for I don’t want you to be in debt to any man leaving Sligo, and for my part I am willing to do all that ever a son can do for you and more perhaps than them you thought more of. But at the same time it is no more than anybody to a Father and all I am waiting for now is the answer of this letter and if you are willing to come that way let me know and I will pay yours, Mary Ann and Johnney Mullrooneys passage as quick as possible. Dear Father I intended to go to Sligo when I got paid off but all my hopes is blasted for the future of ever seeing Sligo again? [portion of letter blotted out] When you come out and I hope your uncle Daniel? [portion of letter blotted out] will be along with you and Mrs. Keen and children [portion of letter blotted out] is one that lies cold in the clay that I would give all the world she was alive to be with you until I would see her face again but alas that day will never come in this world, and may the Lord have mercy on her soul, Amen. [It seems likely that Patrick is here referring to his mother]. Dear Father I have not received a letter from Brooklyn this twelve months, and I can’t say how Bartly Burns and the family is getting along for like all the rest of them that is here he soon forgot me. But I hope I will live to return to New York to pay them back with the same coin, and I was greatly surprised when I herd Thomas Mullroony was married, but I suppose he took a foolish notion like all the rest of the Sligo boys. Let me know what young woman he got married to, Sligo can’t be so bad when the young boys can support wives, and as for this country the widows and girls are going mad for men and can’t get them, for the war has all the young men in the country away and any young man that comes home safe out of the war the young girls will be giving any amount of money to get a man, and plenty of money they have got. [It] is now is the time for the young men of Sligo to come to this country, any of them that is able, for this will be a fine country when this war is over and as it is I hear they can’t get men enough to do the work for them in New York. There is very few men in the citys at all but what is a way in the army and navy. Dear Father there is nothing thought of a man here if he is not either in the army and navy fighting for his country. I have received a few letters from Patt Short since I come in the navy he is living in Fall River and his mother and brother and sisters sends their love to you and they wish to see you out here. Tell Johnney Michael Flanigan is still a prisoner in Richmond. Father I take the liberty of writing these few lines to you hoping to find you in good health as this leaves me in at present thanks be to God for it. Dear Father I received your kind and welcome letter on the 20th and I am very happy to hear that you are enjoying good health and I am also very sorry to hear that Johnney Mulrooney is lying very bad, but I hope he will soon recover his health again and be able to come to see me in the land of liberty. Dear Father I am surprised at you for to sell all your things in such a hurry before you received your passage ticket, for I am sure you would have time enough to sell them after you received the order, and on the other hand you wanted me to pay your passage on a steamer but the passage is too high, it is 32 dollars in gold and 48 dollars in the U.S. currency, so you must know how much it would be to bring you out on a steamer and to send you money home also, for I know you can’t come out without sending you some money home and I think it would be very good on my part to be able to bring you out on a sailing ship, the same way as I come myself, not that I would think it too much to bring you out on a steamer, but for the way times is here at present that if a man wants a dollar in gold he has to pay one dollar and a half before he can get it, and that is what is keeping you in Sligo so long, for I think it very hard to lose so much money for nothing for it is my intention to save all the money I can while I am in the service, that I can be able to start you in business as soon as you come here. Dear Father it would take very near forty pounds to bring you and Mary Ann out at the present time so with the blessing of God remain where you are until the times takes a turn here for the better, and I hope that won’t be long and I think you can’t starve in Sligo as bad as you say it is. Dear Father I wonder how the young men of Sligo that is coming out here will like to be drafted as soon as they land for they have passed a law here to draft all the young and married men from 25 to 45 years of age after they are thirty days in this country, or else they will have to leave the country again and I am very glad of it for there is a lot of young fellows around New York that won’t fight for their country and they ought to be made fight or else clear out. But I wish to God it was for the freedom of Ireland I was fighting for in the place of what we are fighting for. Dear Father I wrote to Patt Short in Fall River to let me know of the first chance he can see that I can send for you, and I am very much surprised at you for not sending some account of John Gannon in your letter to his brother Michael for he was waiting to hear from him in your letter and he was greatly disappointed when he heard his name was not mentioned, and I felt ashamed myself when you did not send some news about him for I am sure you had plenty of place [space] in your letter. Dear Father I have ten months more to serve before my time is up but that won’t be long passing, we are expecting our ships to go home very soon we are waiting for a ship to relive us and as soon as she comes we start for home. Dear Father you have liberty to do as you wish with the pictures when you get them but be sure and give Mrs. Flynn her pictures and tell her to receive them as a favour from me for her kindness to my mother, but you could not expect to receive them as quick as the letter for there will be a delay on them before you receive them. Dear Father tell Mary Finan I received her brothers likeness last week in a letter and I [am] going to send him my likeness this week. I receive a letter from him every week and he is getting along very well. 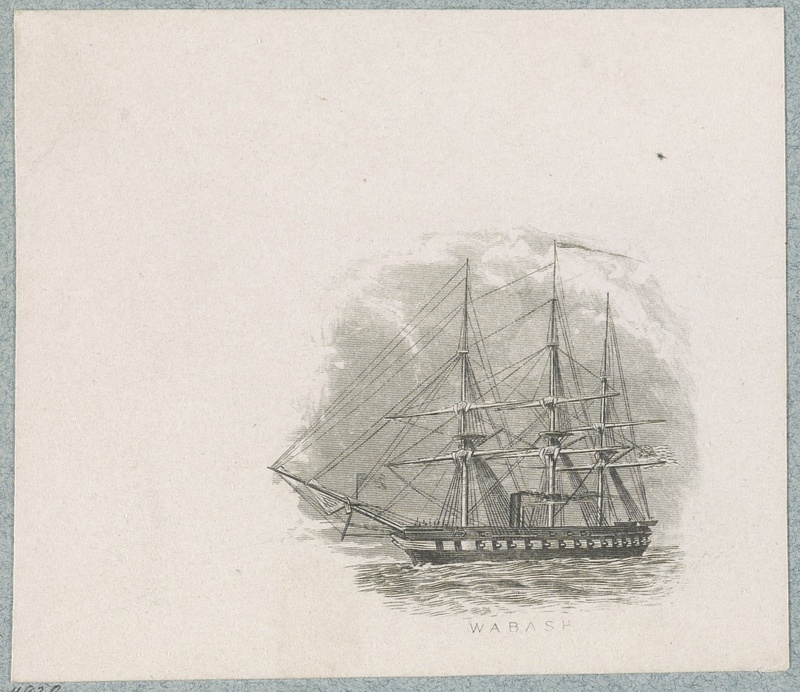 Dear Father we are making up a great deal of money in this country for the Poor of Ireland and on board our ships we made up near twelve hundred dollars on board this ship, you can see it in the last two papers I sent you [for more on these fund raising efforts in 1863 see a previous post by clicking here]. And I had to laugh the other day when I read in the papers about Patrick Davey getting eleven sheep killed on him with some of your mad dogs and about Patrick Kearns in Pound Street turning bankrupt, there is not a thing done in Sligo but I hear of it in one of your Irish papers. Dear Father cheer up and make out the best way you can until such times as I can bring you out, I am sure you would not know me if you seen me for my hair is getting grey. I am greatly changed since you last seen me, this is the country to take the blush off your cheeks. Dear Father when you write again you need not put yourself to the expense of paying the postage for I can pay for it here better than you can, let me know in your next letter if you received the pictures all right for I feel uneasy until they go to hand, be sure and let me know how Johnny Mulroony is getting along for I feel uneasy for fear anything would happen to him. Dear Father give my respects to Patrick Flannery wife and family and tell him I feel very thankful to him for his kindness towards you, give my compliments to Patt Flynn wife and family and to Patt Feeney wife and family and give my love to my sister and brother, [his] wife and child, give my love to my uncle Johnney wife and family and to my aunt Mary and Martin Conlon and family and my aunt Peggey give my respects to John Mulrooney wife and family, Patrick Kearns and family, Dan Riley wife and family and to Mrs Keen and tell her I never heard one word from Patt since he landed, give my love to James Hennesy and James Mulroony and to Bridget Mulroony. Give my respects to Michael O’Hara wife and family and to Patt his wife and family and to my good Father. No more at present but I remain your most respectfully Patrick Finan. Good Bye. These letters are extremely revealing regarding emigration and community in 19th century Ireland. 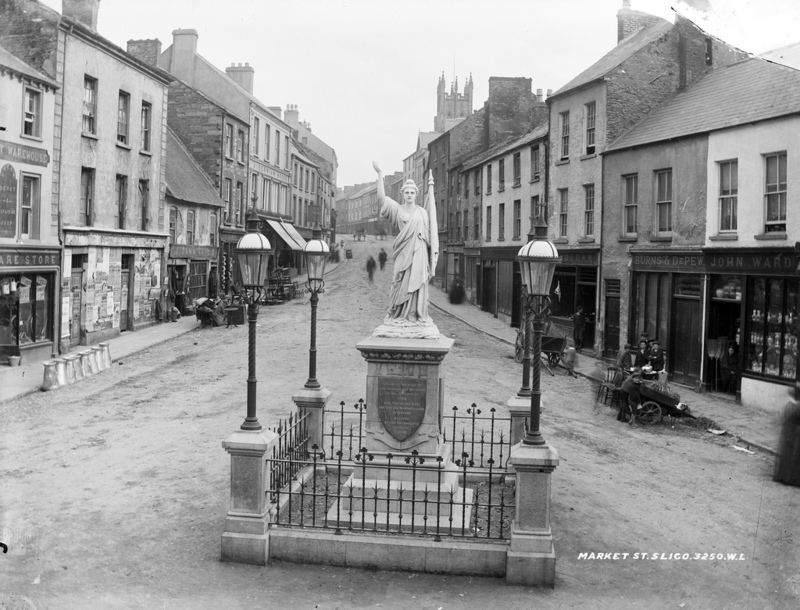 It is also of interest to note just how many of the people in Sligo town had family who emigrated; included amongst Patrick’s circle were at least two others who fought in the Civil War, one in the Irish Brigade and one for the Confederacy- the latter of whom, Michael Coggins, seems to have literally been facing his former friend in the battle for Charleston (see notes below). Letters such as these open up a window on the strong ties between Ireland and the United States in the 1860s and the impact of the American Civil War on Irish people. Sources such as these, and the experiences of men such as Patrick Finan, are worthy of considerably more attention and study here in Ireland than they currently receive. *** Patrick’s mother was a Mulrooney so it is likely that all those of that name referred to in the letters are family relations. ****It is unclear what vessel the Shamrock was, and if Patrick had served on it in Ireland (it is clear he also spent time in England before his emigration). There were a number of ships of that name operating in 19th century Ireland, more work is required to ascertain if none had particular connections to Sligo. 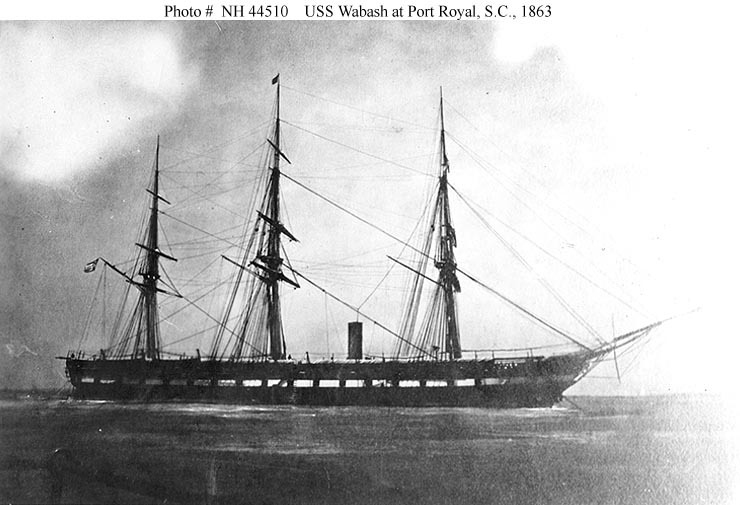 *****The USS Wabash on which Patrick served for most of the war and on which he died was a steam-screw frigate. She spent most of the Civil War on blockading duty as part of the South Atlantic Blockading Squadron. 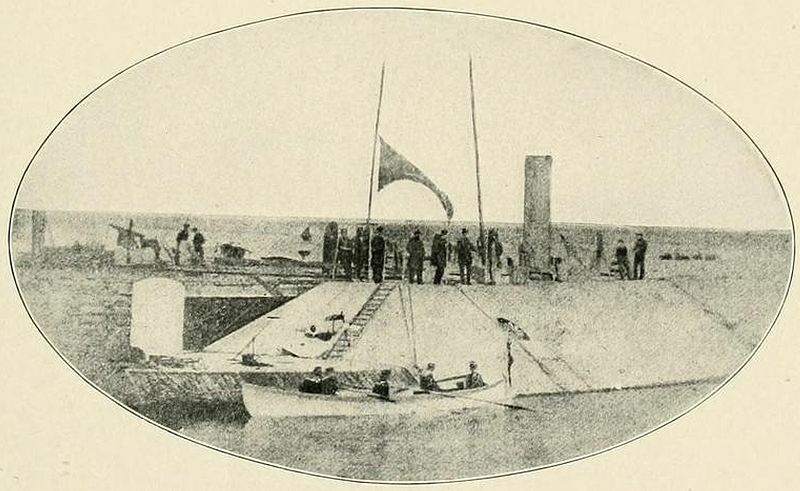 Members of her crew participated in actions against positions such as Fort Pulaski, Georgia and while in Port Royal a detachment of her crew were captured by a Confederate steamer. She took a number of prizes, including the Wonder on 13th May 1863. The original transcriptions do give more of an impression of Patrick’s Irish accent, with many words spelt phonetically. If you would like to see any of the original transcripts please let me know. Confederate Civil War Service Records. Confederate Muster Rolls of Ships and Stations (in Confederate Navy Subject File). Naval Enlistment Weekly Returns, New York Rendezvous, April 1861. New York Adjutant-General 1893. Annual Report of the Adjutant-General of the State of New York, Volume 31. Patrick Finan Widow’s Pension File Certificate 2867. US Naval Historical Center Photographs. Thanks Marsha, glad you enjoyed it! I have not seen them they are fantastic! I wonder indeed if he is among them, it is quite a thought. I will certainly use them in the future!